The need for facebook to intertwined its business with Facebook cannot be overemphasized. Most importantly because of Facebook advert. Digital marketing has emerged perfect marketing solution to this generation that is fast and constantly on the go with mobile devices. 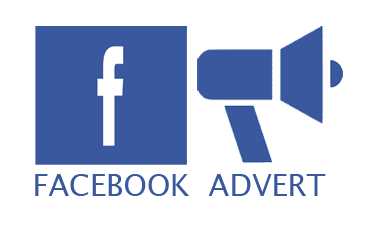 The Facebook advert is definitely the most effective advertisement channel with due consideration of other digital adverts and traditional advert means. The success stories have further launched this claim more. Furthermore, The continuous growth in new Facebook users and advertising opportunities drives the claim home. This predictions only fuel Facebook’s daily activities with users rising by 18% to 1.23 billion people in 2016. This staggering population makes an effective campaign. Funding for facebook advert is actually cost effective and result oriented. In fact, a few hundred dollars launches a pretty good result. The motivation in facebook advert is actually reliant on the results. There are about 65 million Facebook business Pages and over 5 million business profiles on Instagram. The Facebook advert is significantly easier to manage in comparison to Google AdWords. Because you don’t need to go through the stress of SEO to launch facebook adverts. The sheer size of Facebook and Instagram users makes it an ideal place to get the perfect audience. Also, facebook adverts offer its services over two powerful media (Instagram and Facebook)Statistics shows that of the 1.7 billion users, the average user spends 50 minutes on Facebook, Instagram, and Messenger. Facebook algorithm targets users based on their interest, demographics, location, actions on your website, engagement in your app, and much more. Facebook is determined to stay ahead because they constantly include features and more advert means. The chances of hit and surpassing advert targets are easily achievable. In addition, the Facebook advert is highly customizable and you can add campaign objectives, Target audiences, effect bidding and more. These options enable users to achieve more than using other ads channels. Facebook has added Facebook Messenger Day, Instagram Stories, Live Video updates, Facebook stories, and improved ad reporting recently. Facebook also has a long list of advert tools available to advertisers. Facebook remains truly the most advert platform ahead of google ads and other social and nonsocial media platform. It is effective for a startup with budgets and cheaper for larger companies.